The Boii were a Gallic tribe of the Iron Age, attested at various times in Cisalpine Gaul, parts of Bavaria, in and around Bohemia, and Gallia Narbonensis. In addition the archaeological evidence indicates that in the 2nd century BC Celts expanded from Bohemia through the Kłodzko Valley into Silesia, now part of Poland and the Czech Republic. 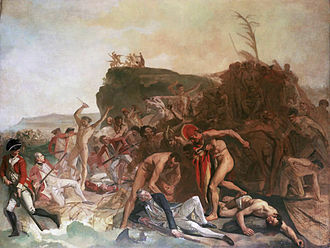 They first appear in history in connection with the Gallic invasion of north Italy,390 BC, after a series of wars they were decisively beaten by the Romans in a battle near Mutina and their territory became part of the Roman province of Cisalpine Gaul. 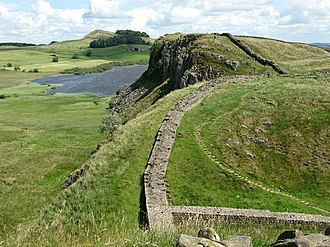 Around 60 BC, a group of Boii joined the Helvetiis ill-fated attempt to land in western Gaul and were defeated by Julius Caesar, along with their allies. 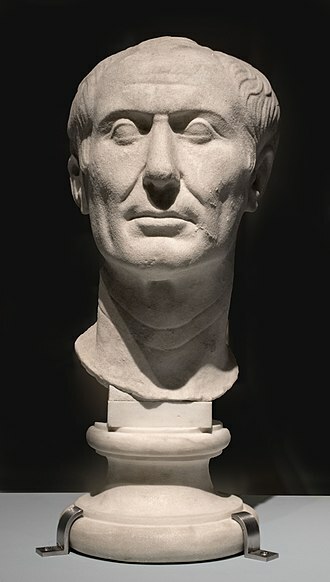 Caesar settled the remnants of that group in Gorgobina, from where they sent two thousand to Vercingetorixs aid at the battle of Alesia six years later, the eastern Boii on the Danube were incorporated into the Roman Empire in 8 AD. 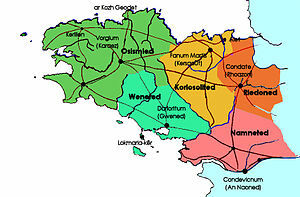 From all the different names of the same Celtic people in literature and inscriptions it is possible to abstract a continental Celtic segment, There are two major derivations of this segment, both presupposing that it belongs to the family of Indo-European languages, from cow and from warrior. 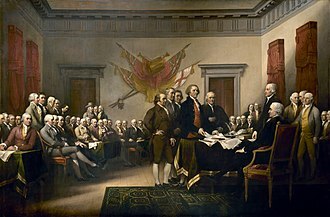 The Boii would thus be either the people or the warrior people. The cow derivation depends most immediately on the Old Irish legal term for outsider, from Proto-Celtic *ambouios, not a cattle owner. The latter were presumably the *ambouii, as opposed to the man of status, who was *bouios, an owner, and the *bouii were originally a class. Boii would be from the o-grade of *bhei-, which is *bhoi-, such a connection is possible if the original form of Boii belonged to a tribe of Proto-Indo-European speakers long before the time of the historic Boii. If that is the case, the Celtic tribe of central Europe must have been a final population of a linguistically diversifying ancestor tribe. Indo-European reconstructions can be made using *gʷou- cow as a basis, contemporary derived words include Boiorix and Boiodurum in Germany. 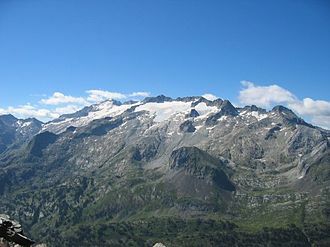 According to the ancient authors, the Boii arrived in northern Italy by crossing the Alps and it remains therefore unclear where exactly the Central European origins of the Boii lay, if somewhere in Gaul, Southern Germany or in Bohemia. The Natural History is an early encyclopedia in Latin by Pliny the Elder, a Roman author and naval commander who died in 79 AD. It is one of the largest single works to have survived from the Roman Empire to the modern day, the works subject area is thus not limited to what is today understood by natural history, Pliny himself defines his scope as the natural world, or life. The work is divided into 37 books, organised into ten volumes, the Natural History became a model for encyclopedias and scholarly works as a result of its breadth of subject matter, its referencing of original authors, and its index. 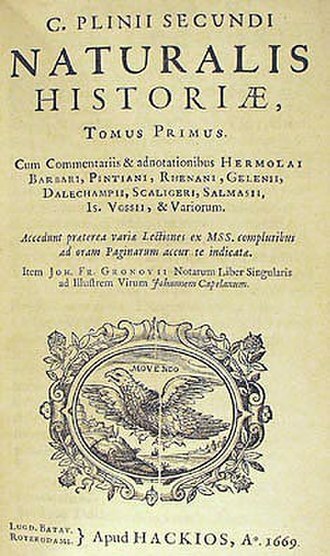 The work is dedicated to the emperor Titus, son of Plinys close friend and it is the only work by Pliny to have survived and the last that he published. 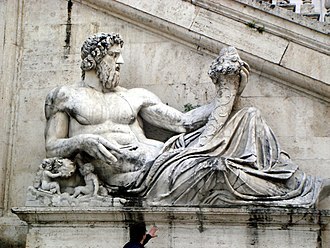 He began it in 77, and had not made a revision at the time of his death during the AD79 eruption of Vesuvius. 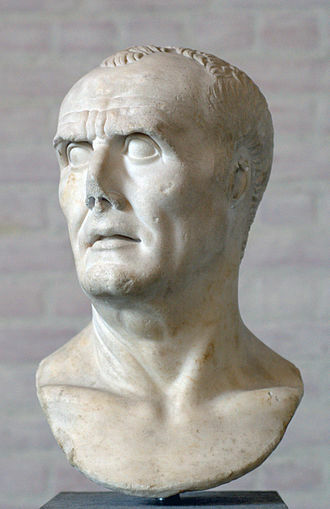 Plinys Natural History was written alongside other substantial works, Pliny combined his scholarly activities with a busy career as an imperial administrator for the emperor Vespasian. Pliny claims to be the only Roman ever to have such a work, in his prayer for the blessing of the universal mother, Hail to thee, Nature. And do thou deign to show thy favour unto me, alone of all the citizens of Rome, have, in thy every department, the Natural History is encyclopaedic in scope, but its format is unlike a modern encyclopaedia. However, it does have structure, Pliny uses Aristotles division of nature to recreate the world in literary form. The work is unified but varied, My subject is the world of nature, or in other words, life, he tells Titus. Nature for Pliny was divine, a concept inspired by the Stoic philosophy which underlies much of his thought. But the deity in question was a goddess whose main purpose was to serve the human race, that is life is human life in a natural landscape. After an initial survey of cosmology and geography, Pliny starts his treatment of animals with the human race and this teleological view of nature was common in antiquity and is crucial to the understanding of the Natural History. The Solent is the strait that separates the Isle of Wight from the mainland of England. 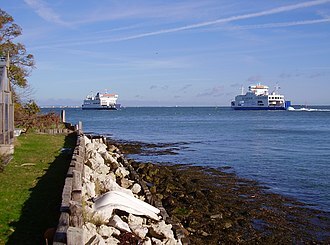 The Solent is a shipping lane for passenger, freight. It is an important recreational area for sports, particularly yachting, hosting the Cowes Week sailing event annually. 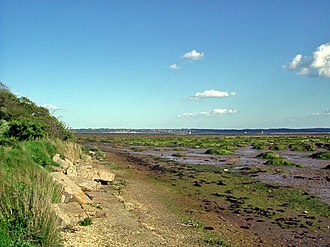 Spithead, an area off Gilkicker Point near Gosport, is known as the place where the Royal Navy is traditionally reviewed by the monarch of the day, the area is of great ecological and landscape importance, particularly because of the coastal and estuarine habitats along its edge. Much of its coastline is designated as a Special Area of Conservation and it is bordered by and forms a part of the character of a number of nationally important protected landscapes including the New Forest National Park, and the Isle of Wight AONB. 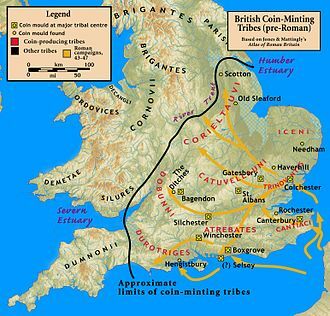 The word first appears in the Saxon record as Solentan, a pre-Celtic and supposedly Semitoidic root meaning free standing rock has been suggested as a possible description of the cliffs marking western approach of the strait. This Semitic origin may be a relic of the Phoenician traders who sailed to Britain from the Mediterranean as part of the ancient tin trade, another suggestion is that the name may reflect the number of Northern Gannets along the coast. Originally a river valley, the Solent has gradually widened and deepened over many thousands of years, the River Frome was the source of the River Solent, with three other rivers — the Rivers Avon and Test — being tributaries of it. Seismic sounding has shown that, when the sea level was lower, since the retreat of the most recent glaciation the South East of England, like the Netherlands, has been steadily slowly sinking through historic time due to forebulge sinking. 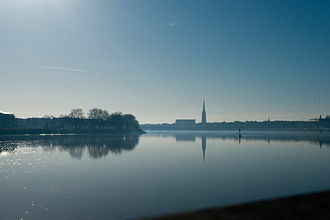 A new theory – that the Solent was originally a lagoon – was reported in the Southern Daily Echo by Garry Momber from the Hampshire and Wight Trust for Maritime Archaeology. The Isle of Wight was formerly contiguous with the Isle of Purbeck in Dorset — the Needles on Wight, inland behind the Chalk were less resistant sands and gravels. Aquitaine, archaic Guyenne/Guienne was a traditional region of France, and was an administrative region of France until 1 January 2016. It is now part of the new region Nouvelle-Aquitaine and it is situated in the south-western part of Metropolitan France, along the Atlantic Ocean and the Pyrenees mountain range on the border with Spain. 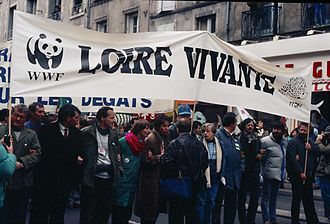 It is composed of the five departments of Dordogne, Lot-et-Garonne, Pyrénées-Atlantiques, Landes, in the Middle Ages, Aquitaine was a kingdom and a duchy, whose boundaries fluctuated considerably. This has been demonstrated by various Aquitanian names and words that were recorded by the Romans, whether this Aquitanian language was a remnant of a Vasconic language group that once extended much farther, or whether it was generally limited to the Aquitaine/Basque region is not known. 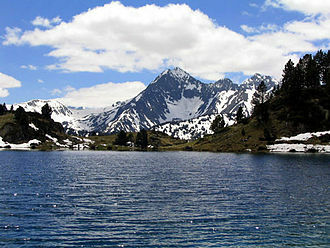 The original Aquitania at the time of Caesars conquest of Gaul included the area bounded by the Garonne River, the Pyrenees, the name may stem from Latin aqua, maybe derived from the town Aquae Augustae, Aquae Tarbellicae or just Aquis or as a more general geographical feature. 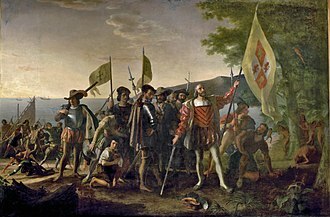 In 392, the Roman imperial provinces were restructured and Aquitania Prima, Aquitania Secunda, accounts of Aquitania during the Early Middle Ages are a blur, lacking precision, but there was much unrest. 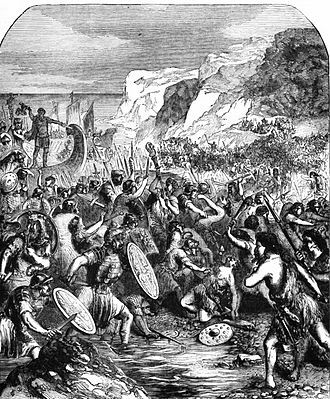 The Visigoths were called into Gaul as foederati, legalizing their status within the Empire, eventually they established themselves as the de facto rulers in south-west Gaul as central Roman rule collapsed. Visigoths established their capital in Toulouse, but their tenure on Aquitaine was feeble, in 507, they were expelled south to Hispania after their defeat in the Battle of Vouillé by the Franks, who became the new rulers in the area to the south of the Loire. 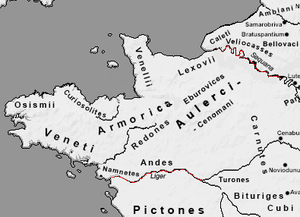 The Roman Aquitania Tertia remained in place as Novempopulania, where a duke was appointed to hold a grip over the Basques and these dukes were quite detached from central Frankish overlordship, sometimes governing as independent rulers with strong ties to their kinsmen south of the Pyrenees. 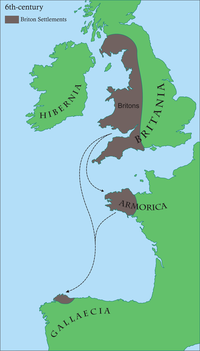 As of 660, the foundations for an independent Aquitaine/Vasconia polity were established by the duke Felix of Aquitaine, a united Basque-Aquitanian realm reached its heyday under Odo the Greats rule. 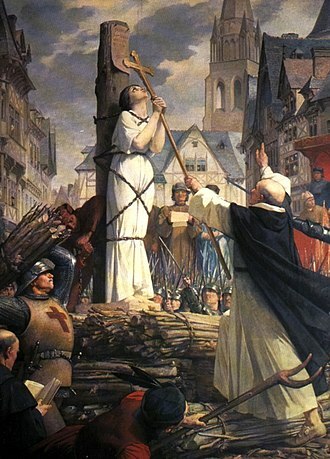 Odo was required to pledge allegiance to the Frankish Charles Martel in exchange for help against the advancing Arabic forces, Basque-Aquitanian self-rule temporarily came to a halt, definitely in 768 after the assassination of Waifer. Seguin, count of Bordeaux and Duke of Vasconia, seemed to have attempted a detachment from the Frankish central authority on Charlemagnes death, the new emperor Louis the Pious reacted by removing him from his capacity, which stirred the Basques into rebellion. 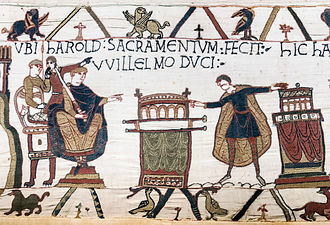 Before Pepins death, emperor Louis had appointed a new king in 832, his son Charles the Bald, however scarce, some Frankish population and nobles settled down in regions like Albigeois, Carcassone and Provence and Lower Rhone. After the death of the king Dagobert I, the Merovingian tenure south of the Loire became largely nominal, with the power being in the hands of autonomous regional leaders. 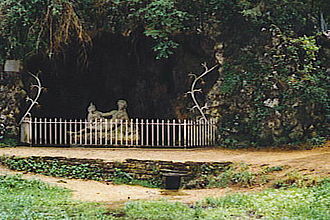 The Franks may have largely assimilated to the preponderant Gallo-Roman culture by the 8th century. 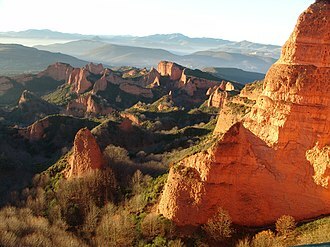 Still, in the Battle of Toulouse, the Aquitanian duke Odo is said to be leading an army of Aquitanians, on the other hand, the Franks didnt mix with the Basques, keeping separate paths. The Solent from Wootton, Isle of Wight, showing Wightlink Fishbourne–Portsmouth ferries crossing. 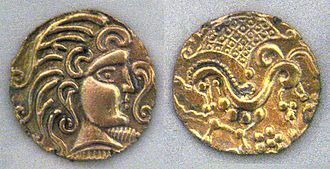 Gold coins of the Parisii, 1st century BCE (Cabinet des Médailles, Paris). 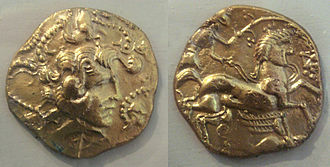 Coin of the Parisii: obverse with horse, 1st century BCE (Cabinet des Médailles, Paris). Coins of the Parisii (Metropolitan Museum of Art). 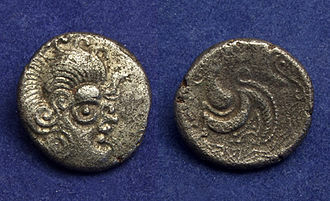 Coins of the Curiosolitae, 5th-1st century BCE. Denarius of the Aedui, 1st century BCE, 1940mg. Hotel de la Monnaie.